We’ve all been knitting away furiously on our #Socktober goals as we edge towards the end of the month (on a related note – how is it November next weekend?!). Our featured picture this week is Hannah’s finished pair of matching superb stripy socks – meaning she has achieved her #Socktober goals – you go girl! Sheila is powering through several projects, always with a sock on the go though – she has tried the fish lips kiss heel and moved on to the eye of partridge heel for her next pair. 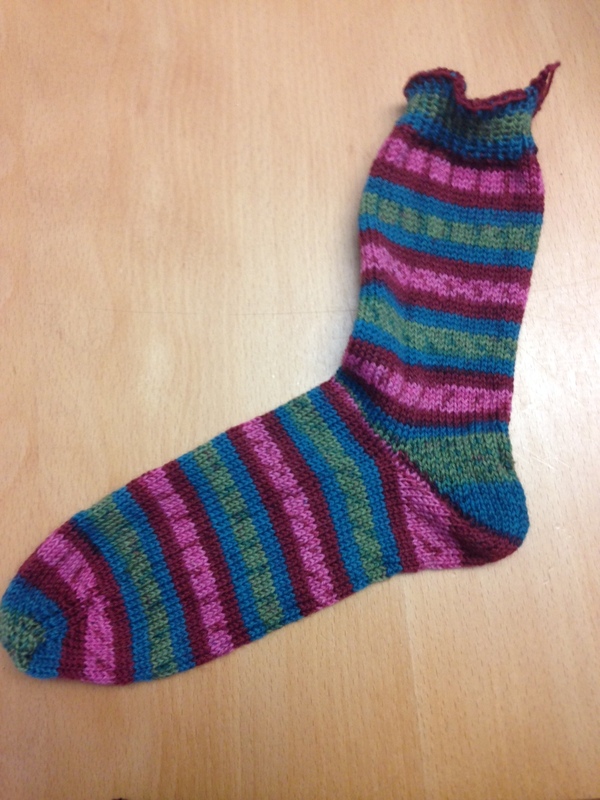 Kate has finished the prototype of the grippy yoga socks and finished the Simple Skyp socks she was working on. She had forgotten when she set her #Socktober goals that her 3mm dpns were in use on the first sleeve of her Still Light tunic, so she had to do some serious sleeve knitting to get them freed up for the second Kalajoki. Never not having a sock on the needles, however, she’s trying out some Sirdar Heart and Sole in another pair of Simple Skyp socks and loves the beautiful pastel stripes of the Hello Cheeky colour way. She’s not sure whether the Kalajoki will be finished before the end of the month, but she’s going to give it a good go. 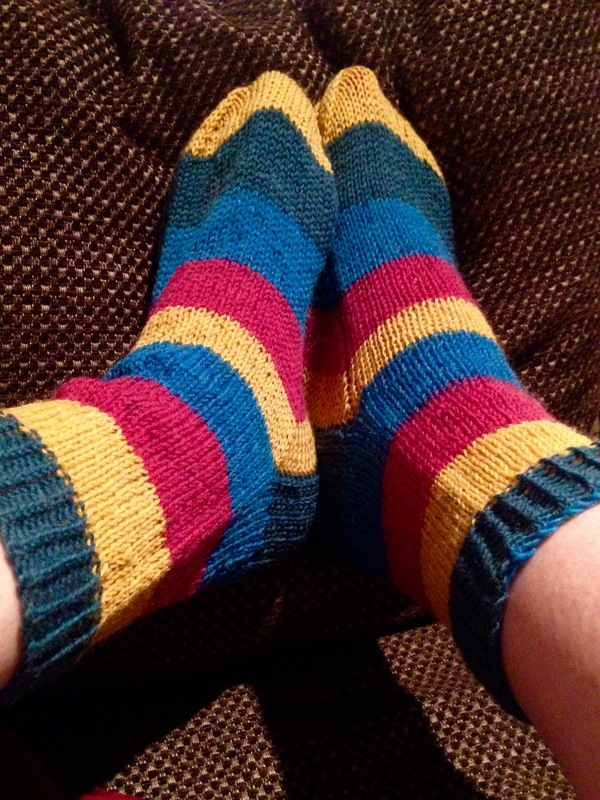 We always enjoy the Yarn Harlot’s blog – this week we were mostly in awe of how fast she knits socks! Tanis’ family of Coolbreezes are lovely – and fabulous photos too. And the tartan mood board Monday post was gorgeous. TinCanKnits published a great guide to blocking hand knitted sweaters – we’ve filed it away for our next blocking session. We loved this explanation of why sock knitting is so satisfying from Pans & Needles – it pretty much summed up how we feel about knitting socks! And this was our favourite Pin of the week, because of the beautiful festive colours.